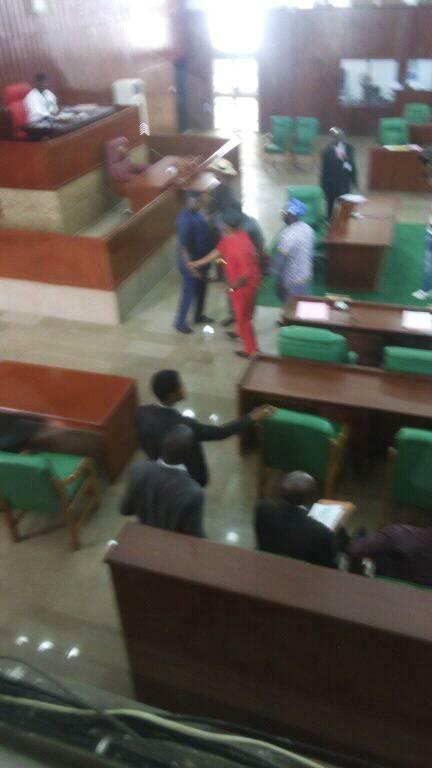 Fracas has broken out at the Edo state house of assembly after the impeachment of Deputy Speaker, Victor Edoror. Gunmen invaded the Edo State House of Assembly after it became clear that there were moves to also impeach the Speaker of the House, Hon Kabiru Adjoto. 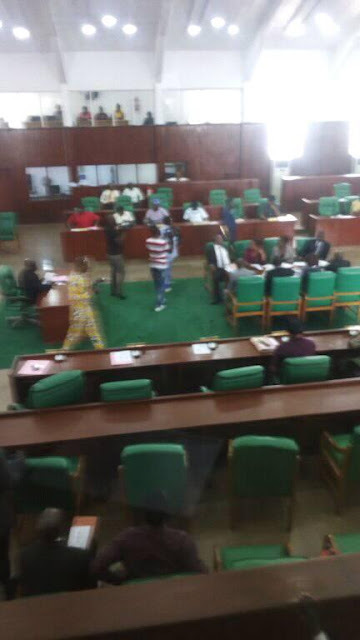 A heavy fight erupted at the Edo State House of Assembly after the gunmen suspected to be political loyal thugs invaded the Assembly complex, chasing away some lawmakers, and shooting sporadically in the air. As at the time of filing this report, three persons have been injured in the brawl, and two lawmakers of the opposition Peoples Democratic Party (PDP), M. D. Igbas and Hon Iluobe were seen running for their lives with their security personnel. Meanwhile, Edoro has replaced with former speaker, Justine Okonoboh, before moves to impeach the Speaker were initiated.